Whether you are going to be out of town for a few days or just leaving your home for work, there are a few easy things you can do to deter burglars. Tricking Burglars- If a potential burglar can tell that someone is home, chances are they will not attempt to break in. Most break-ins occur during the day when most people are at work. When you leave your home, it is a great security measure to create the illusion that someone is still there. You can do simple things like leaving on a light, radio or television. It is also a good idea to mentally fake them out by putting a home security sign in your yard or placing a home security sticker on your front window. There are no guarantees that the burglar won’t test whether it’s valid, but it may deter them. Don’t leave a spare key outside- Leaving a spare key hidden somewhere outside your home may seem like a good idea in case you get locked out of your house, but in reality, it is an open invitation for a burglar to just walk into your home. Instead, leave a spare key with a trustworthy neighbor or friend who lives nearby. 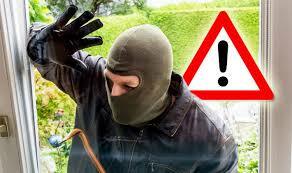 Secure your yard- To prevent burglars from being able to easily hide in your yard, you should always keep all trees and bushes well manicured. You should also always keep all entryways to your home visible to prevent people from being able to sneak up. Don’t showoff- After purchasing pricey electronics or a new appliance, do not place the empty boxes out beside the trash can. This tips people off you have something brand new and may leave them wondering what other goodies you have inside your home. It is also a good idea to go around your home when you have your blinds or curtains open and see exactly what is visible to others outside your home. If you have expensive items near windows or within plain sight it may be a good idea to rearrange your home to get them out of view. Secure sliding doors and windows- Take extra precaution to secure sliding doors by taking a steel bar or a 2x4 and sliding it into the back groove of the door. This way even if the lock is picked, the rod will prevent the door from sliding open. To add an extra layer of protection to windows, you can add a pin or nail into the frame to stop it from raising more than a few inches. Purchase a home security system- Home security systems are more affordable now than they used to be. Many security systems you can install and even monitor yourself using an app on your phone. Along with these tips it is also important to keep doors and windows closed and locked, especially if you are not at home. When you are home and have them open, just remember to be vigilant to your surroundings. You never know who may be watching your home and waiting for the opportunity to gain entry. Spring is here and that means we will be spending more time outside. Start taking care of your home early to ensure you are able to have plenty of time for outdoor fun. To assist you in having a worry free spring and summer, here are some easy steps you can take to prepare your home. The majority of these tasks can be completed by a “handy” homeowner. If you are in doubt about any listed task it is best to call a qualified professional. Maintaining your home this spring will ensure your home is in good shape throughout the summer. Check insulation around windows and doors- Make sure that your doors and windows are properly insulated to keep the warm air out. For doors you want to make sure that the weather stripping is intact and providing a good seal around the door. For windows you want to check the seals around the windows to make sure there is no cracking, splitting, or peeling of the seals. Inspect caulking around windows and doors- Many times during the cold season windows and doors will slightly separate from the frame. Do a thorough inspection around all windows and doors to ensure your caulking is in good shape and none of the warm summer air can make its way into your home. Replace HVAC filters regularly- Blocked air filters can reduce the efficiency of your air conditioning system's ability to push and pull air through air registers. Also during spring and summer allergens are higher and if your family suffers from such symptoms you may want to replace your filter about every 30 days. Have your air conditioning unit inspected- It is always a good idea to have your air conditioning unit inspected by a professional at least once per year. It is better to address any issues you may have now versus when it is hot outside and you are in need of your unit to function properly. Clean your dryer vents- A clogged dryer vent causes warm air to blow back in to the room where your dryer is located, eventually raising the temperature in the whole house. A simple cleaning can prevent this from happening and keep your home cooler. Inspect your windows- Clean your windows, both inside and out. While you’re at it, check for any cracked or damaged window glazing and panes along with seeing how well your weatherstripping held up over the winter. Replace worn weatherstripping and you’ll keep the cool air in and the warm air out! Inspect your roof- If your roof is steep or otherwise difficult to navigate, stay on the ground and use a pair of binoculars. Look for loose, damaged, or missing shingles. If unable to do the inspection yourself, or not quite sure what to look for call a professional. Spending a few hours here and there on home maintenance tasks helps you spot developing problems quickly and prevent costly repairs. For best results, complete the tasks described above before the weather starts heating up, so you can enjoy the warm summer months ahead. There are several challenges to living in a small space, and often if you are renting, space may be an issue. Maximize the living space in your rental home by finding creative places to store your belongings. Below are some ideas to make the most of your living space and de-clutter and organize your home. Plastic Bins or cubbies are a great way to organize closets. Often the lower half of the closet either goes unused and becomes wasted space, or tends to invite piles of clothes or shoes. Utilize that space by storing clothes, shoes, and other miscellaneous items in baskets, bins, and cubbies. If you really want to be organized you can even add labels to make it easy to find what you’re looking for. Check your local dollar store for inexpensive organizing tools. Recycled boxes can also be used for storage and organization. For a budget friendly storage solution you can use old boxes such as diaper boxes and cover them with your favorite fabric for storage. Utilize storage space under the bed. You can buy shallow storage boxes for under the bed. This space is a great solution for storing off-season clothing or extra bedding. If necessary, you can add a dust ruffle to camouflage your under the bed storage. 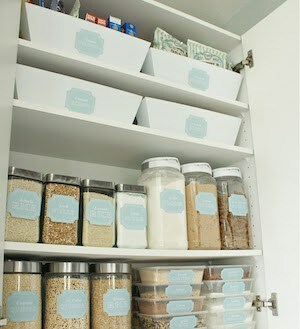 Utilize cabinet space. Under the bathroom and kitchen sinks, if you have no shelves use crates or bins to organize your items. Utilize space on top of cabinets. You can store small appliances or over-sized serving dishes on top of cabinets or the refrigerator. A ceiling rack, can also be a great space-saver. Hang pots, pans and accessories overhead and they won’t crowd your cabinets. Use the back of bedroom doors.. Over the door solutions can be found as shoe bags, pocket organizers, caddies, towel holders and racks. Make DIY Wall shelves. Turn boxes, baskets or crates into wall shelves. This saves space, and is a great way to display your belongings while keeping your space organized. This idea works especially well for books or magazines. These are just a few ideas that show with a little creativity you can organize and create space in any home. Keep in mind if you are renting, to always checks with the landlord or property management company before making any changes to the home. When you are a landlord you are bound to have your home vacant for some period of time at one point or another. While there are many things that can lead to high vacancy rates, there are specific steps you can take to reduce the vacancy rate of your rental proeprty. Reward Existing Tenants- One of the best and easiest ways to keep a tenant happy is to not raise the rent. Although you may need to increase rent over time, try to avoid this for as long as you can. This will encourage your tenants to stick with you and decrease the number of people leaving to find a more affordable home. Keep up with the exterior appearance- In addition to keeping your rental home clean, you need to frequently paint or otherwise maintain the exterior. If the exterior looks neglected, people will not want to live there. Landscaping is also very important in attracting and keeping new tenants. Even though you may not live at your rental property, try to make it as clean and well kept as possible. Make timely repairs- One of the most common reasons for vacancy is repairs that are not being made at all or not being made in a timely manner. Invest the time and the money that is necessary to keep your rental home operating profitably for you. Provide Amenities- Consider providing amenities such as a washer and dryer, updated appliances, garbage disposals, and garage door openers. Offer paid utilities- If possible offer to pay some of the utilities for your tenant. Offering paid electricity or water can be a great way for landlords to attract new tenants and retain existing ones. Keep it clean- A clean property is a place where people will want to live. If the common areas of your rental property are dirty or unkempt, it will give people a bad impression of your property. One of the most important things you can do as a landlord is to make sure that your property is well maintained and clean while vacant. Screen for long term tenants- One of the best ways to avoid a high vacancy rate is to hold on to your tenants for the long term. When screening for tenants, be sure to think long term. Will this person be leaving in three months or will they stay for years. Offer a cheaper rent rate for tenants who will sign a longer term lease, such as an 18 month term versus a year. Offer a move in Bonus- To attract tenants offer them a bonus to rent your home. A bonus could be anything from a free months rent, to a gift card. Get creative and think if you were a potential tenant what would you like as a move in bonus. Provide multiple payment options- Offer online payments, weekly payments, accept credit cards, and Paypal. When a tenant has many options for paying their rent, it makes it easier on them, and also makes it more likely for you to receive payments regularly and on time. There are many tactics that an owner can use to attract good long term tenants. With a little bit of creativity, flexibility, and structuring of your leasing can make a big difference in leasing success and vacancy rates. Depending on the circumstances property owners may choose to manage their properties themselves, or they may outsource the management responsibilities to a professional Property Management Company. Once you have invested in rental property the property can become overwhelming. 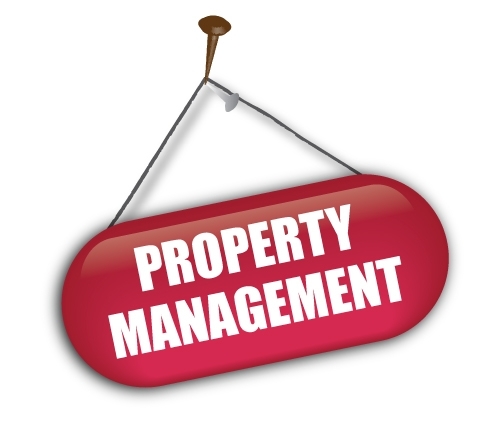 For many landlords the logical solution is to hire a Property Management Company. Is this the right decision for you? Consider the following issues before making that decision. Where is the Property located?- If you have purchased a rental property near your home or place of business it will be easy for you to keep an eye on your investment. If your rental property is located far away you will have to travel to deal with the inevitable problems that will arise. If you are not able to check on your property frequently and easily handle problems that may arise, it may be in your best interest to hire a Property Management company. Do you know how to manage a rental property?- If you do not have experienced in being a landlord or Property Manager, you may be in over your head. Collecting rent may sound easy, but in realty there are a lot of processes behind it. In order to manage your property profitably and correctly you need to be familiar with things such as landlord-tenant laws, eviction processes, accounting, rent collection, and maintenance remedy. If you are not familiar with these things you can quickly find your investment becoming more of a loss, and your tenants may take advantage of your inexperience. Can you find good quality tenants on your own?- Experienced Property managers are experts at finding good tenants and will handle all of the details including running criminal background and security checks, running credit reports, verifying employment, and getting previous landlord references. If you do not think you will be able to do these types of background checks, you may want to hire a Property Management Company. How much experience do you have with maintenance/repairs?- If you cannot handle the maintenance yourself, do you know who to call? Finding reliable handymen and contractors can be a take a long time and be a lengthy process. Maintenance and repairs are a significant component of being a landlord. If you question your ability to make sure the work is done satisfactory and in a timely manner, you may want to hire a Property Management Company. Can you handle the accounting and record keeping for your property?- Property Management can involve a great deal of accounting. This includes collecting and tracking rent, handling profit and loss, paying city/property taxes, and paying vendors. Handling the accounting can become a burden especially if you have multiple properties. If you feel accounting may be your weak point, consulting an experienced Property Management Company may be the best decision for you. Are you willing to be on call 24/7?- This is an important question to answer honestly. If an emergency happens at your property you cannot ignore it. These emergencies do not happen all the time, but when they do it is important they are addressed immediately. If managing your property yourself, you have to be willing to address these issues no matter what time of day it is. Are you familiar with the housing regulations and property laws?- There are a multitude of laws and regulations to abide by when renting and maintaining your rental property. If you are not familiar with them a Property Management Company can help you avoid lawsuits by keeping your property up to date and in compliance with these laws. Whether or not you decide to manage your investment property yourself, if you do hire a Property Management Company make sure your do your research before hiring them. Your mission is to find someone who is trustworthy and experienced. Get referrals if you can and go online and research the company. It is best to interview several companies before deciding on which one you will hire. Good luck on your endeavors as a real estate investor! 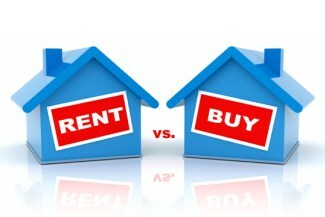 Is it better to rent or to buy a home? This is a question that requires you to examine all of the elements of the decision. Choosing where you will live and whether or not you will rent or own, is an emotional decision as well as an economic one. There are both pros and cons that need to be weighed when making the decision to rent or purchase a home. Lower cost up front- If you decide that you are going to rent a home, you will not need as much money up front as you would if you were going to purchase a home. As a renter you will typically be required to pay first months rent, a security deposit, and a pet deposit if applicable. If you buy a home you will be required to pay the down payment, closing costs, costs for the home inspection, and other potential processing costs. The financial difference of renting vs. buying is a few thousand dollars that will need to be paid up front if purchasing a home. Time to establish credit- If you have bad credit, creating a history of on time rental payments will help you to build good credit. If you plan on purchasing a home in the future, good credit will be a necessity to do so. Less maintenance- If you are renting a home, you will not have to worry about unexpected repairs. When an issue arises you will simply call your landlord to coordinate any repairs that need to be made. Flexibility- If you are new to the area, you can rent and use this time to research neighborhoods to see where you might possibly want to buy. By renting you can test an area without committing to it. Build Equity- When you pay rent, you don't own anything. When you pay a mortgage, you increase your degree of ownership in your home with every payment. Also, you can borrow against your equity in the home to pay for major purchases and you can refinance your home at favorable rates to help fund major purchases. Maintenance choices- If you own a home, you can decide how to handle the maintenance issues that arise. If you live in a rental, you are at the mercy of the landlord when repairs are made and how. Freedom to do whatever you wish- When you own a home you have the freedom to do anything to the home you wish. 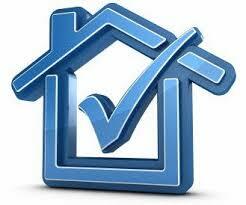 When you are renting a home, any changes that you wish to make will first have to be approved by the owner. While a home can be a good investment, many financial experts caution against purchasing a home simply as an investment. Also, keep in mind that the dynamics of real estate markets across the U.S. vary greatly. This reality requires each consumer to be educated not only in terms of their own finances, but about all the data for the market in which they are looking. It is that time of the year when the temperatures have dropped, and your electric bill is on the rise. But there are easy ways that you can reduce your energy use and save a little money. When the sun comes out open your blinds and let those rays in. Doing this will help to warm up your home without costing you anything. When it starts getting dark, make sure you close your blinds/curtains to keep the cool air out. Check around all of your windows and doors for leaks. Buy some inexpensive caulking and weather stripping to keep the warm air in and save you money on your electric bill. When it starts to cool off outside, this is a great time to utilize your oven. To help heat your home if you cook something in the oven, leave the door open after you turn it off. You can lower your electric bill significantly by adjusting your thermostat. Adjusting your thermostat by at least two degrees will make a difference on your monthly heating costs. Put on a sweatshirt and a pair of socks to make you more comfortable if you feel chilly. Remember to also turn your thermostat up whenever you are not going to be home. Proper maintenance will help your heating unit run more efficiently. Electric and oil heaters should get professional attention at least once a year and gas heaters every other year. Also, here’s a step you can take all on your own: Remember to check the filters in your heating system and make sure they’re clean and clear. Dirty filters lead to higher heating costs. Be sure that you check the exterior of your heating unit. Avoid stacking anything against the heat pump or draping anything over it. Hose the outside unit down to clear it of dirt, leaves and grass clippings. 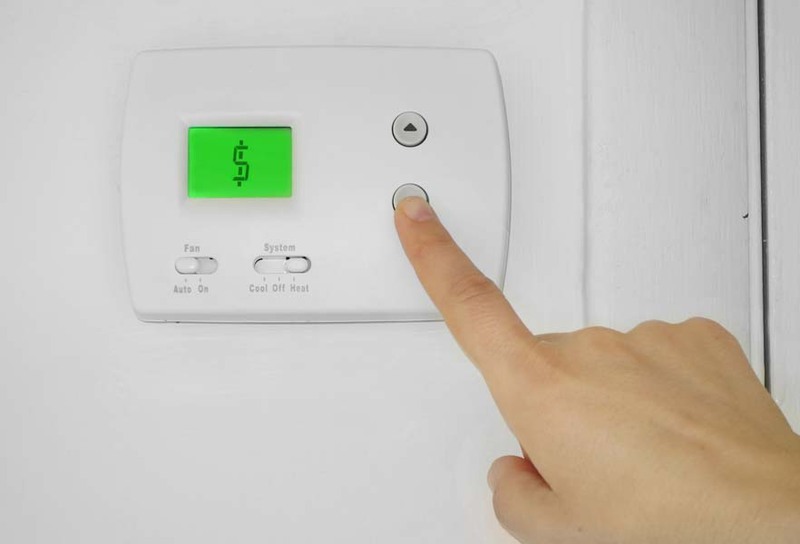 By turning down the thermostat and following these simple steps you will realize a noticeable difference in your heating costs. Save money and stay warm this winter. Whether you’re in a 700 sq ft. apartment, or a two-story rental home, disasters can affect us all. From fires to floods to natural weather disasters, it’s not just the home owner who is at risk when the unexpected happens. 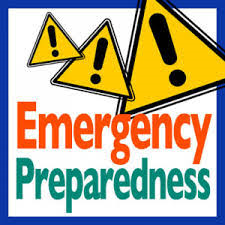 In the event of an emergency, it is important to be prepared even as a renter. If you live in an area with a high risk of devastating natural disasters, you may want to include more items necessary to be self-sufficient for three days. These kits can prove immensely helpful in any emergency from a simple power-outage to an earthquake. The next step is to have an evacuation plan. This is especially important if you live in an apartment building or a multi-story home. If you do live in apartment building, there should be an evacuation plan already in place that is posted in the common areas. Make sure you familiarize yourself and your family members with this plan so you know where to go to escape the building quickly. It you live in a house, draw up a sketch of your home and draw a route to the nearest exit points from every room so that young residents can know exactly where to go in case of an emergency. Also agree upon a family meeting area away from your home in case an evacuation becomes necessary. Finally, decide if renters’ insurance is right for your family. Many management companies require it, but for those that don’t, most renters forgo it. While your landlord or management company is responsible for structural repairs to your home in the event of an emergency, they are not responsible for your belongings. For less than $20 a month, you can receive coverage which can be a huge lifesaver in the event of a real disaster. Thankfully, emergencies and natural disasters rarely occur. However, if you are fully prepared in the case that something does happen, it can make the fallout and road to recovery exponentially smoother and faster. Just taking a little time today to prepare can make all the difference tomorrow.